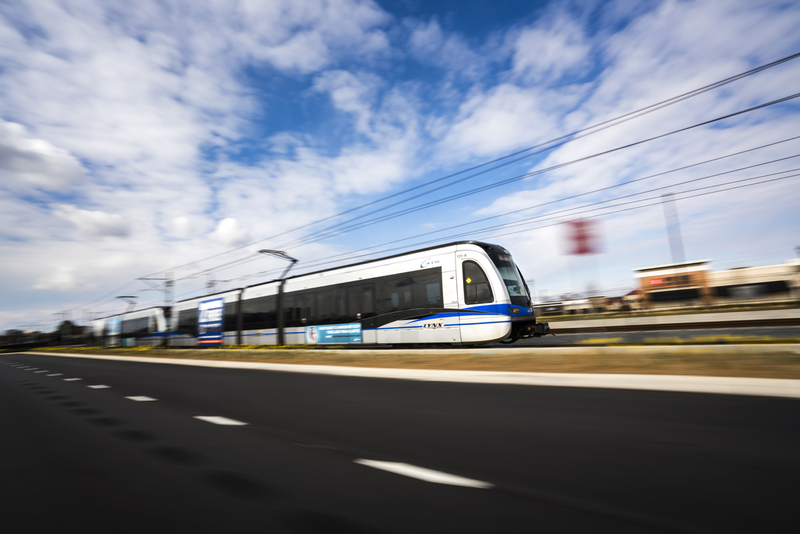 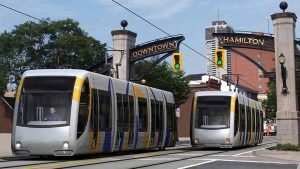 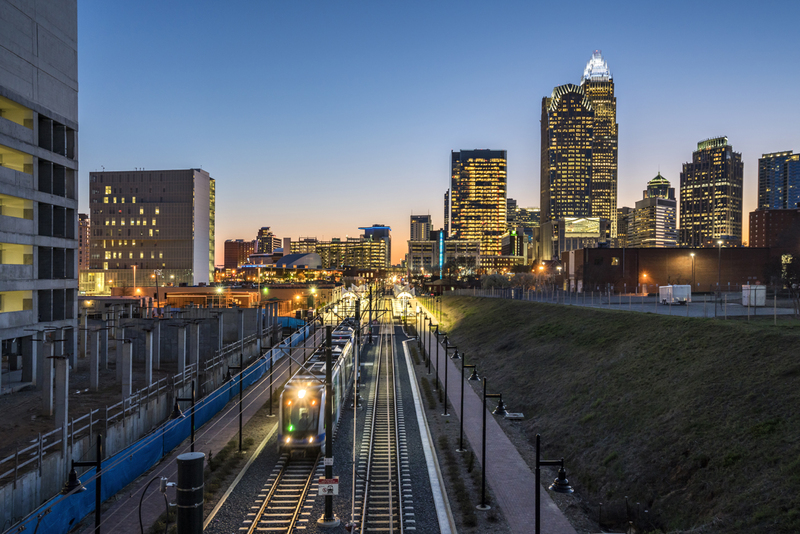 HNTB served as construction management consultant for the Charlotte Area Transit System’s LYNX Blue Line Extension. 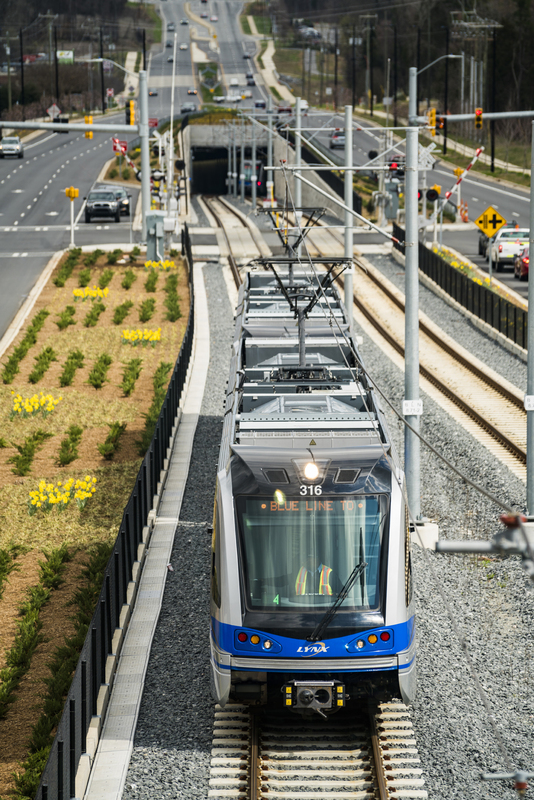 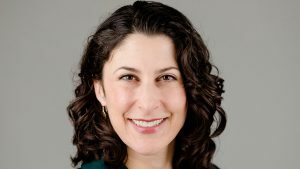 All photos by David Murphy, courtesy of HNTB. 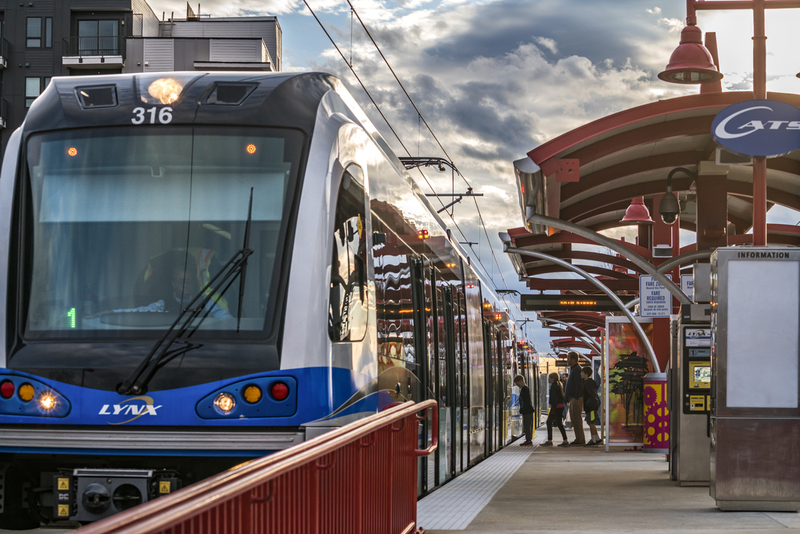 The Blue Line project began revenue service in March 2018 and extended the line 9.3 miles. 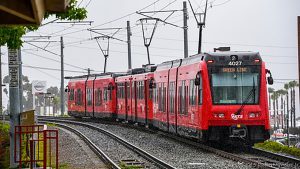 It consists of double-track light rail road bed; 11 transit stations, including seven walk-up stations and four stations with park-and-ride facilities; three parking garages; new traction power substations; state-of-the-art communications systems; and a new central control facility. 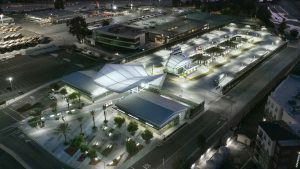 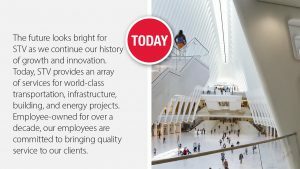 Total project cost was $1.2 billion, with 50% federal, 25% state and 25% local funding. 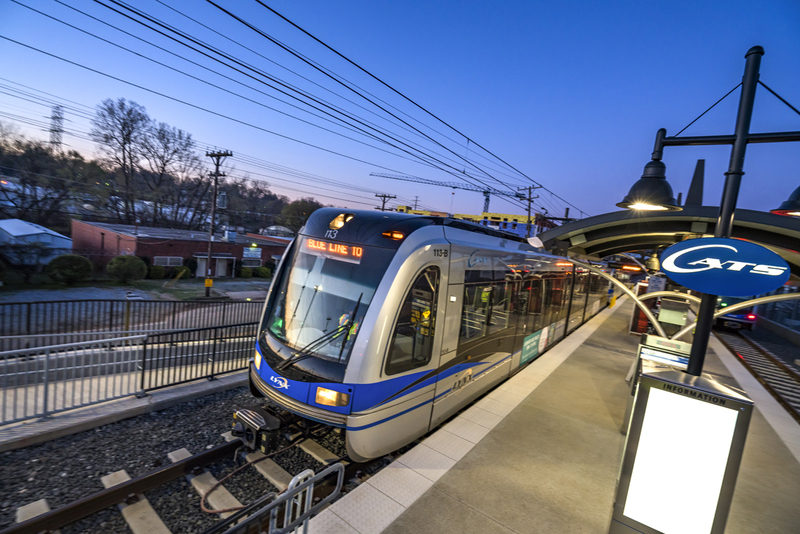 The LYNX Blue Line Extension connects 20 miles of the city from Uptown Charlotte to the University of North Carolina at Charlotte. 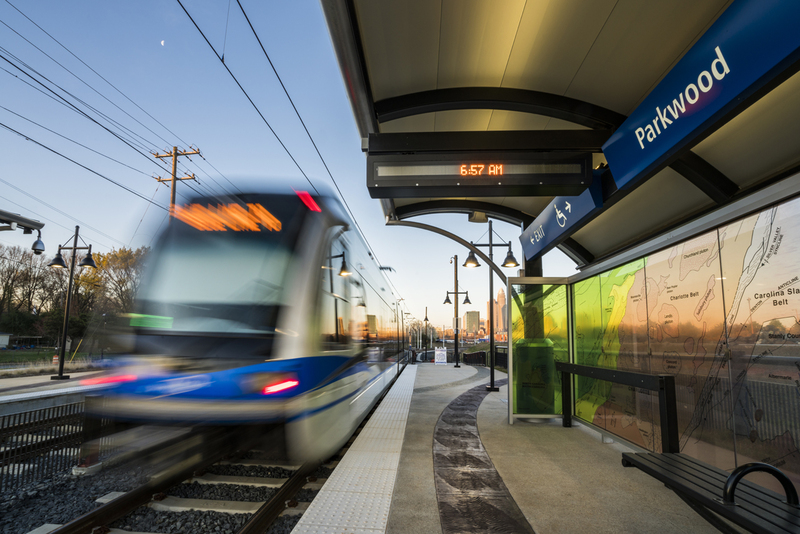 The Blue Line Extension is already contributing to economic development along the corridor, with more than 5,000 new apartments being built, planned or already completed along the path of the new light rail. 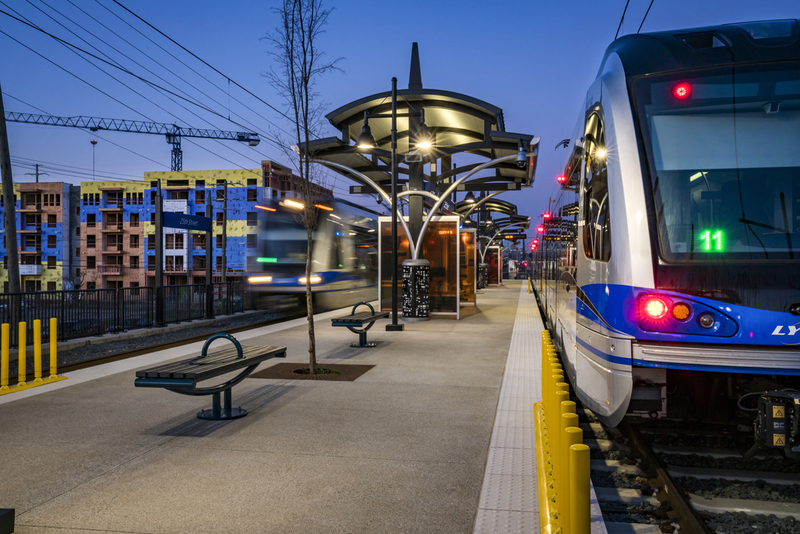 There are major commercial developments planned or under construction near most of the stations on the new alignment.